We are holding a special event to commemorate the end of World War I. 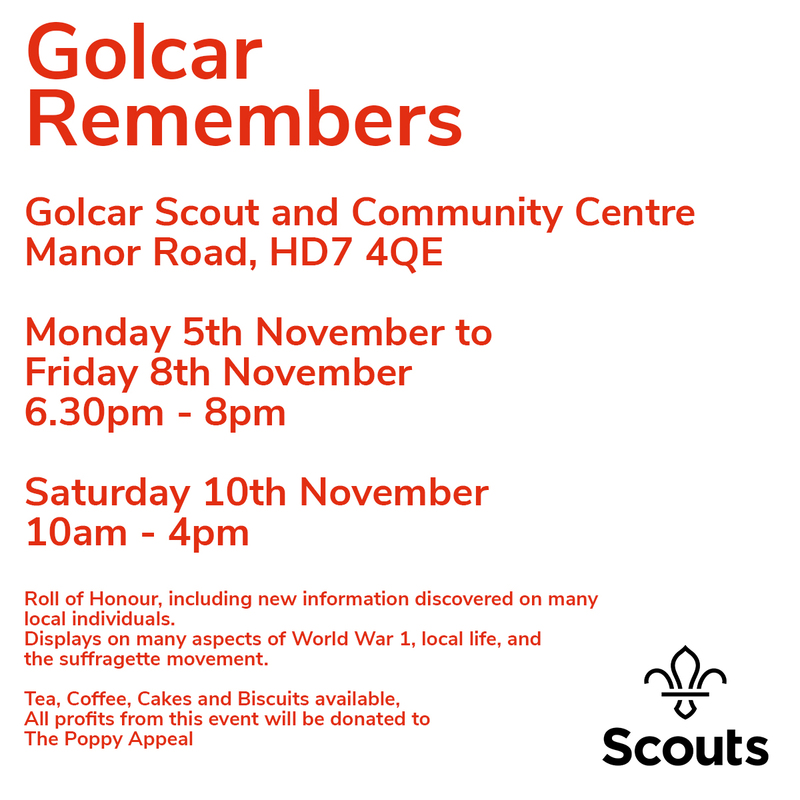 The Golcar Remembers event is being held at Golcar Scout and Community Centre every evening from Monday 5th November to Friday 9th November from 6.30pm until 8.00pm and also on Saturday 10th November from 10:00am until 4:00pm. We have found out so much information about all those from Golcar who were killed in action in the Great War, not only the men, but also their families who they left behind. This will be on display, along with information on the suffragette movement and what it was like in the war. Refreshments will be on sale and all proceeds will go to the British Legion Poppy Appeal. Please come along to support this event – particularly on the Saturday when we have several local dignitaries attending.